Our turkeys are completely pasture raised, fed a local non GMO turkey grower, supplemented with a non GMO whole corn and some non GMO fermented brewers grains from a local brewery! This will be our 4th year raising turkeys and they look better then ever! Come see us at the Evergreen Brickworks Farmer’s Market on Saturdays or contact us for further information. -We will be bringing turkeys to market fresh in our refrigerated truck just before the holidays in December (tentatively Saturday December 21st during the farmer’s market hours) at the Evergreen Brickwork’s facility, 550 Bayview Avenue in Toronto. -Also available are pickups arranged at our farm in Woodville Ontario. -We are asking for a deposit of $20 that will be subtracted from your total upon pick up. -We are expecting our turkeys to finish between the sizes of 8-15lbs. Please specify what size range you would prefer (example 8-10lbs). Sorry we cannot guarantee exact sizes. -Deposits can be made by visiting us at The Brickwork’s Farmers Market on Saturday mornings during market hours, sending a cheque in the mail, or an email transfer. -Our turkeys are raised on pasture, fed a non GMO turkey feed, and are finished with a non GMO whole corn. -The breeds of turkeys we raise are Red Bourbons, and Black Spanish/Narragansett cross (sorry we cannot guarantee specific breeds for your order). -The turkeys will be $6.50/lb this year. We have begun taking orders/deposits for our turkeys and are expecting to sell out again this year. We have a limited number of turkeys so please order soon to avoid any disappointment. 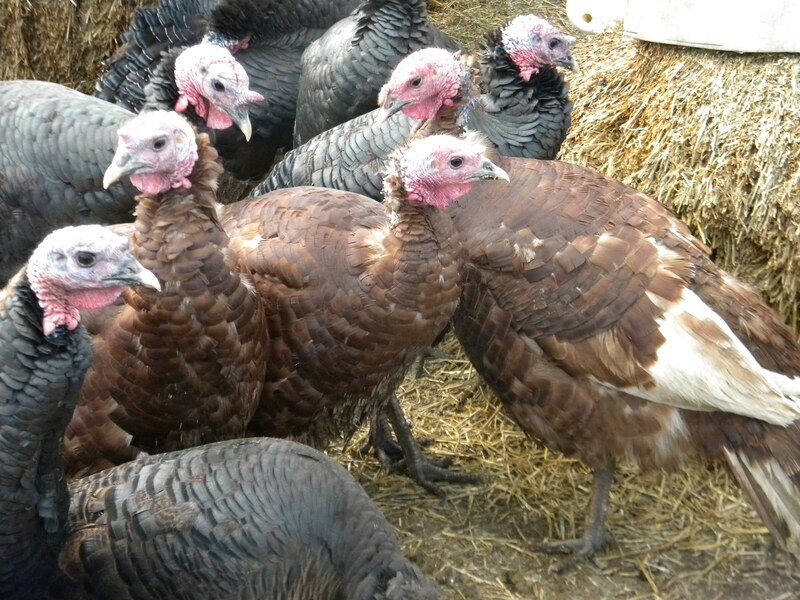 Tags: Christmas turkey, december 2013, grassroot organics, heritage turkeys, non GMO fed turkey, pastured turkey. Bookmark the permalink.